Yahoo CEO Marissa Mayer said the company's core focus is to help be the guide to the world wide web for Internet users, as Yahoo tries to find ways to change its format. Looking ahead, Yahoo wants to make sure users are well taken care of as more users transition from PCs to mobile devices, wearables, TVs, connected cars, and other future formats. It remains a rough road for Yahoo, and the company's shares lost 20 percent since the start of 2015, while Google and Facebook note Wall Street gains. 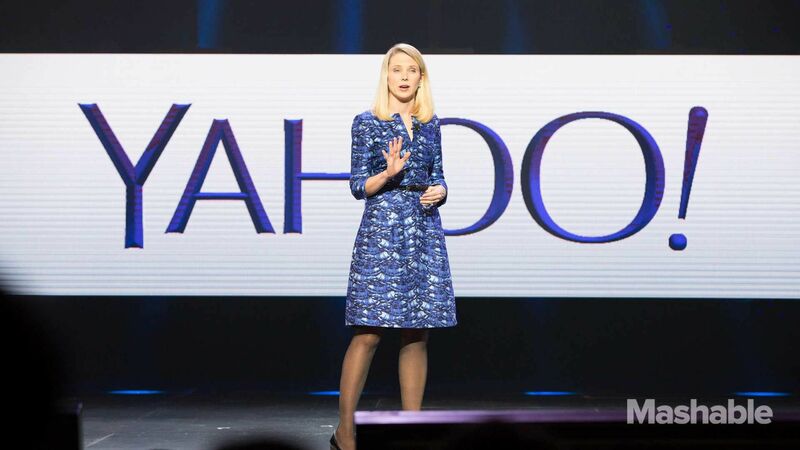 "We're working very hard to take Yahoo, a very iconic company, and return it to greatness," Mayer said during Yahoo's annual investors meeting. "We've worked hard to build ourselves a future." Yahoo continues to grind away while carving out its own niche in a world seemingly dominated by Google - focusing on making sure Yahoo's popular segments are optimized for mobile browsing, including Yahoo Weather, Sports and Finance. Of course, it's been a difficult battle, as eight of the top 10 smartphone apps in the US belonged to Google and Facebook, ComScore reported - and Yahoo was unable to break into the top 15.